This action uses a boolean expression to determine if its child actions should run or not. The "Do the next thing" action will be run regardless of whether the If..Then action runs it's child actions or not. Each term is comprised of a left hand side, a right hand size, and a comparison operator. 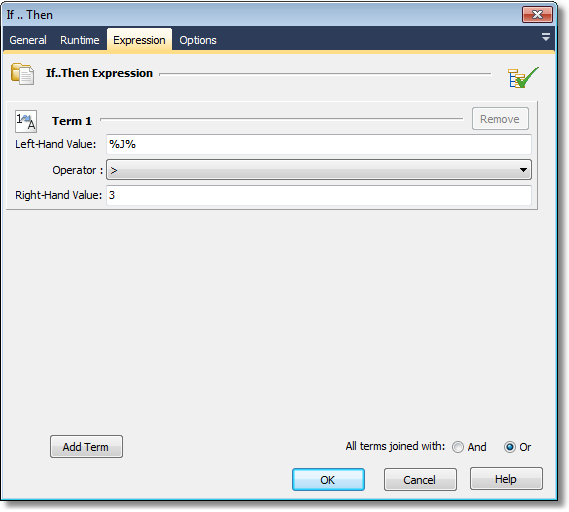 Use %VariableName% syntax to compare the values of variables. String, integer or floating point values can all be compared. Each expression can have an unlimited number of terms. Click on the "Add Term" button to add a new term. 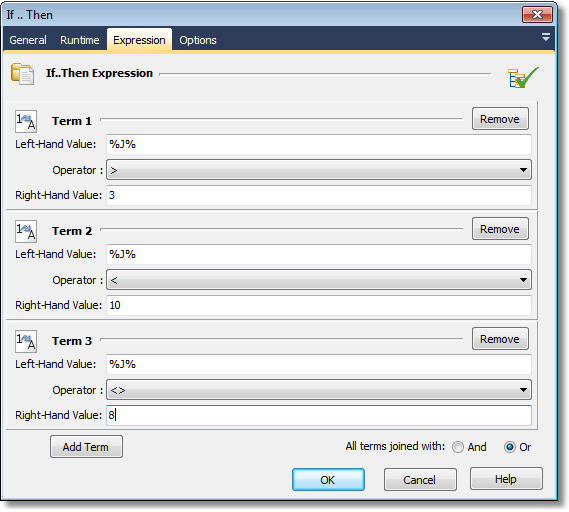 Terms can be joined together with boolean "And" or "Or" directives. You can also use If..Then with the Else action, to provide an alternative set of actions to run. See the Else Action for details. 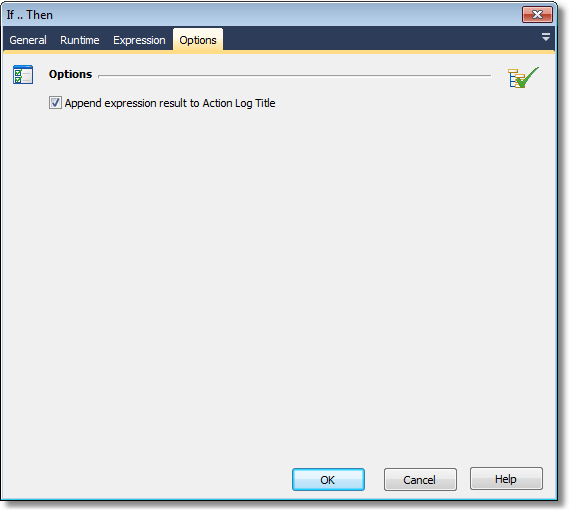 The "Append expression result to Action Log Title" will show the result (True or False) as part of the action's log title when it runs. The result is appended to the normal log title.